As an organizer, I’m often asked questions about getting organized whether through social media or in my daily life. I love being able to help others clear the clutter and get organized so I have decided to do a question and answer post appropriately titled Clear the Clutter with Christine. This week’s question is “how do I organize a small bathroom?” Small spaces can be a challenge so it is important to use every bit of space especially if you share it with someone. Remember it is rarely about not having enough space it’s having too much stuff and not using the space properly. These are some tips to get your bathroom organized and start making mornings a bit less stressful. When you have a small space keeping only what you need, use and have space to store is essential. The less you have the bigger the room will feel. Bathrooms are damp and humid which can lead to mildew so less clutter the more room to breathe. 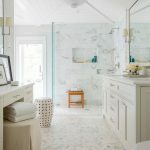 In a bathroom, it is important to sort like items not only for easy access but to prevent overbuying which is something you want to avoid in a small space. Some examples of categories are hair, makeup, everyday essentials, and first aid. The easiest way to create more space in a bathroom is to use vertical space under the sink and the back of the door. 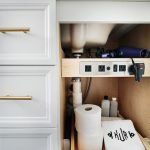 This is one of my favorites because it gives you added drawers under the sink which is helpful in small spaces. This will give you added storage on the back of the door and can be customized to fit your needs. You expect to find a lazy susan in a kitchen but this one comes in very handy in a bathroom. Keep hair care products, lotions or other items you want to keep accessible and organized. 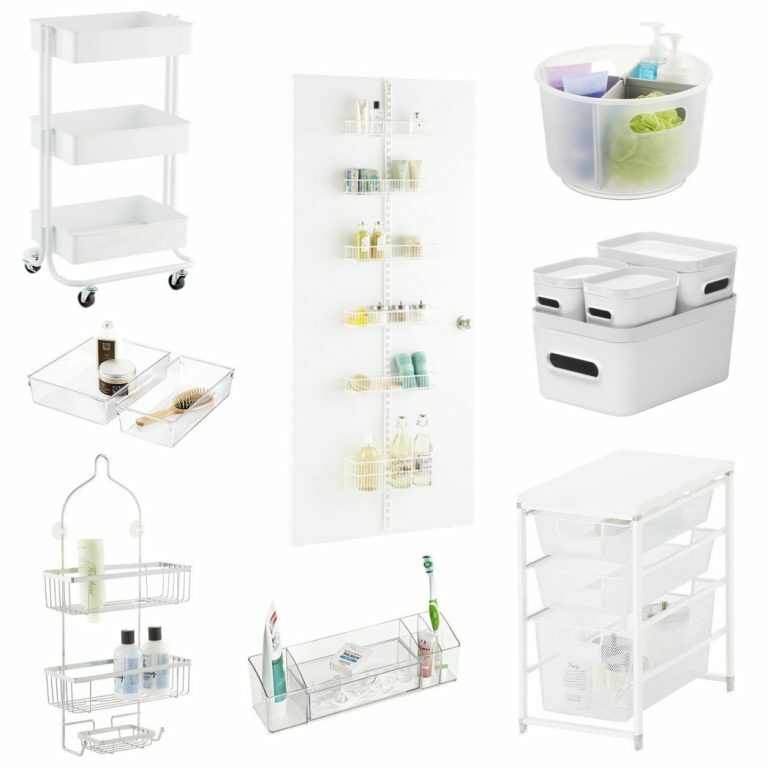 A storage cart is multifunctional because you can use it for makeup, hair care and to store towels. I like to use these clip-on labels to keep it looking neat and organized. The key to an organized medicine cabinet is to use a cabinet organizer like this. You can keep smaller items and everyday essentials for easy access. 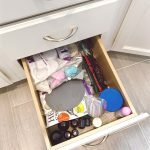 How do you keep drawers organized? Purge often, sort like items and use drawer inserts so everything has a place. You will love opening a drawer and finding exactly what you need when you need it. 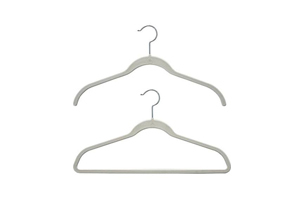 I hope this was helpful for those who are struggling with a small space dilemma and if you have a question regarding organizing that you would like answered leave it in the comment section below and I will feature it in an upcoming blog.